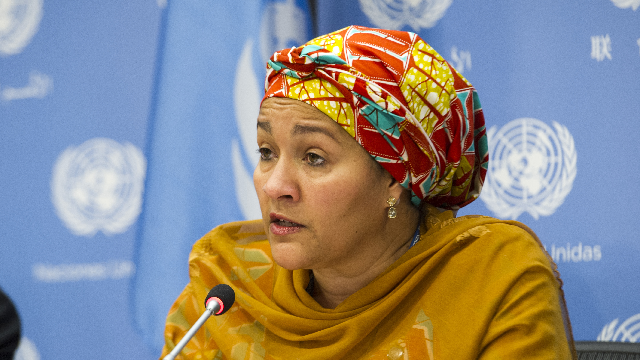 Deputy Secretary-General of the United Nations, Ms Amina Mohammed, has commended the developmental efforts and steady progress in digital technology across Africa, despite challenges and the need to do more. She spoke on Monday at the formal opening of the Ministerial Segment of the 52nd Session of the Economic Commission for Africa (ECA) conference of African Ministers of Finance, Planning and Economic Development. The conference, holding in Marrakech, Morocco, is themed: ‘Fiscal policy, trade and the private sector in the digital era: a strategy for Africa’. Mohammed said Africa was on the move, especially when compared to progress in other regions.“Africa is on the move. Africa is leading by example. Even where some part of the globe are sliding and getting complacent, Africa is emerging as the continent of hope,” she said. Her segment attracted participants including Ms Vera Songwe, the UN Undersecretary and Executive Secretary of the ECA, and Moustafa Yousif Holi, State Minister of Finance and Economic Planning of Sudan, who was also the chairman of the Bureau of experts. Duvvuri Subbarao, a former governor of the Reserve Bank of India; Hala El-Said, Minister of Planning, Monitoring and Administrative Reform of Egypt; and Omar Hilale, Vice President of the UN Economic and Social Council; among others, were also present. Mohammed, however, cautioned that Africa simply cannot resist opportunities to enhance its inclusive growth efforts. “We need to be creative and innovative in our methods. “The (UN) Secretary General (Antonio Guterres) has assured that the UN is ever ready to help Africa surmount its challenges. “We are going to work with everybody in ensuring that no one is left behind.“The UN agencies on ground will continue to channel their energy in realsing regional integration and sustainable economic growth, just as the ECA is doing in Africa. “In this regard, one must appreciate the efforts of Ms Songwe and her team for the admirable ways they have been going about in ensuring that desired goals are met in Africa. “In our drive, we must ensure no one is left behind, especially young girls,” she said. 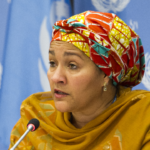 The former Nigerian Minister of Environment said that Africa must be conscious of the need to create about 250 million jobs in the next 10 years. According to her, the digital world is moving very fast and the challenges faced require a multidimensional approach, while various ministers of finance, development and planning have a lot of job to do. “The UN understands the challenges and we are going to assist in overcoming them. Some of these challenges would be addressed in September at the General Assembly. “We understand the challenge and the weight you carry. These challenges are not exclusive to Africa,” Mohammed said. She reiterated that the African Continental free Trade Area (AfCTA) is a great idea, which would ultimately deepen Africa’s regional integration. The UN chief, however, pointed out that digital technology and e-commerce are reshaping the society faster than policy makers can keep pace. “This shows that government alone cannot do it all. The involvement of the private sector, the civil society groups, the non governmental organisations are key. “We have a unique opportunity to benefit from the digital era in enhancing inclusive growth; not only for the future, but also for now,” she said. Other speakers spoke in similar light, with Ms Songwe expressing gratitude to the government of Morocco for a successful hosting of the 2019 events. Songwe also praised ECA staff for hard work and diligence, while thanking other participants for their resolve to a common cause. “Our gathering here in Morocco is testament to the long standing cooperation between the Government and people of Morocco, and the Economic Commission for Africa,” she said. Newsmen report that the Second session of the Conference of Ministers was held in Tangiers, Morocco, in January 1960. Songwe said that ECA, as the Africa’s foremost think tank, would generate relevant knowledge and apply policy research to guide member countries in their path towards sustainable and inclusive. She explained that the 2019 theme was informed by the need for resource mobilisation, job creation and inclusive growth. Songwe said that the choice also focuses thoughts on the opportunities offered by rapid digitisation to address the issues.